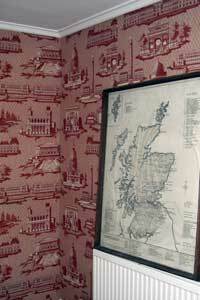 Soft furnishings by Upholstery and Sewing Services, Fife, Scotland. 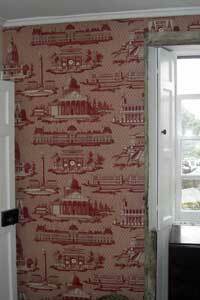 Soft furnishings for commercial premises, home and caravan. 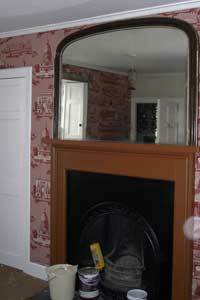 All manner of soft furnishings carried out to customers specification, on time, top quality and cost effective. 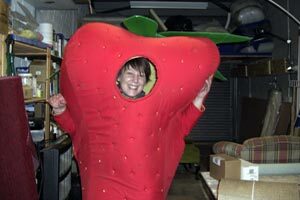 This one tested the skills of Jill to create a soft furnishing strawberry outfit for a local fruit farm. 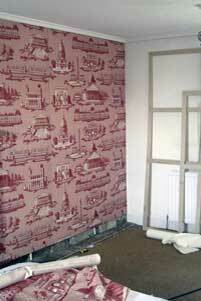 Another example of an unusual but imaginative wall covering undertaken by Upholstery Sewing Services. 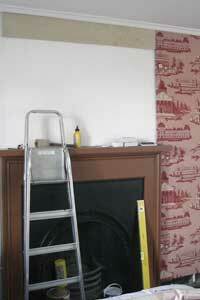 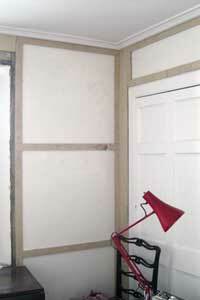 The walls were prepared and covered in a fabric of the customers choice.